If you’re being cast to play Captain Marvel, we are sure you’d end up learning a lot of things. But what you didn’t figure out is how to look cool, as Brie Larson revealed, while she was preparing for Captain Marvel. And well, as you may have guessed, there is someone who teaches you how to look cool. You gotta mix clenching your fists bending your knees, and turning your head. And well, no smiling, obviously. Talking about cool, Larson also wishes to get on those trips to Samuel L. Jackson and Magic Mike have a great time on. Brie Larson starrer Captain Marvel will release this Friday. Captain Marvel is directed by Anna Boden and Ryan Fleck from a script they wrote with Liz Flahive, Carly Mensch, Meg LeFauve, Nicole Perlman and Geneva Robertson-Dworet, Captain Marvel stars Brie Larson as Carol Danvers, Samuel L. Jackson as Nick Fury, Jude Law as Yon-Rogg, Clark Gregg as Phil Coulson, Lee Pace as Ronan the Accuser, Djimon Hounsou as Korath the Pursuer, Gemma Chan as Minn-Erva, Ben Mendelsohn as Talos and Lashana Lynch as Maria Rambeau. The film release date is set for March 8. 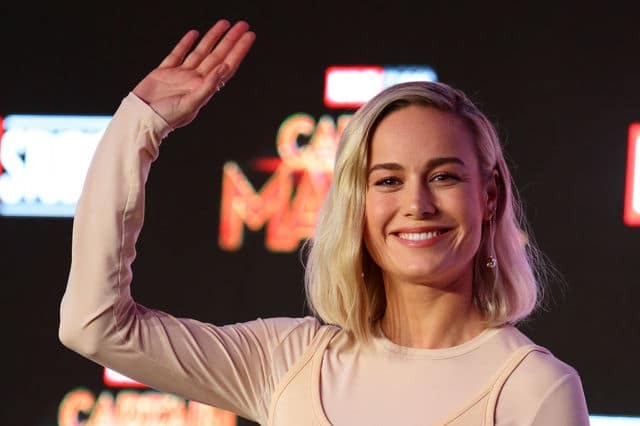 The wait for Captain Marvel is almost over, as the release date set for Brie Larson’s upcoming movie is 8th March.